Very Worshipful Brother Richard Bowyer, DPGM, escorted by the Provincial Deputy Grand DC, W.Bro. Michael West, attended the meeting of the Saxon Shore Mark Lodge on 5th December at its' meeting place in Tollesbury. The evening was to prove a pleasure to attend and a success for its' members. The first event was the Advancement of Bro. James Panting. This was carried out in fine style by all the officers of the Lodge with many other members stepping in to perform various parts of the ritual. Following that, the DPGM had the pleasurable duty of presenting a 50 year Certificate to W.Bro. Dennis Saunders. He was Advanced into Saxon Shore on 4th September 1968, was its' Master in 1979 and has risen, so far to PGSwdB. 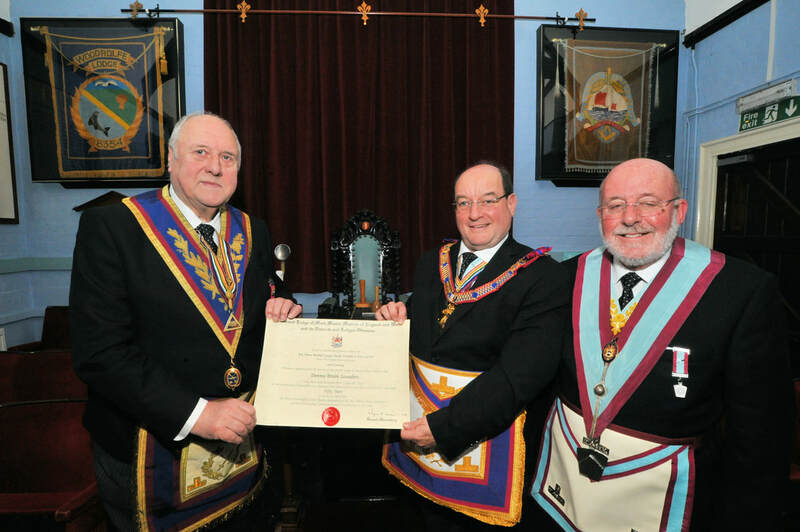 That also means that he has, so far, received 50 year Certificates in the Craft, Royal Arch and The Mark. ​ All eventually retired to a fine festive board before parting in peace and harmony. Pictured below are the DPGM and the WM, Barry Warner with W.Bro. Dennis Saunders with his Certificate. 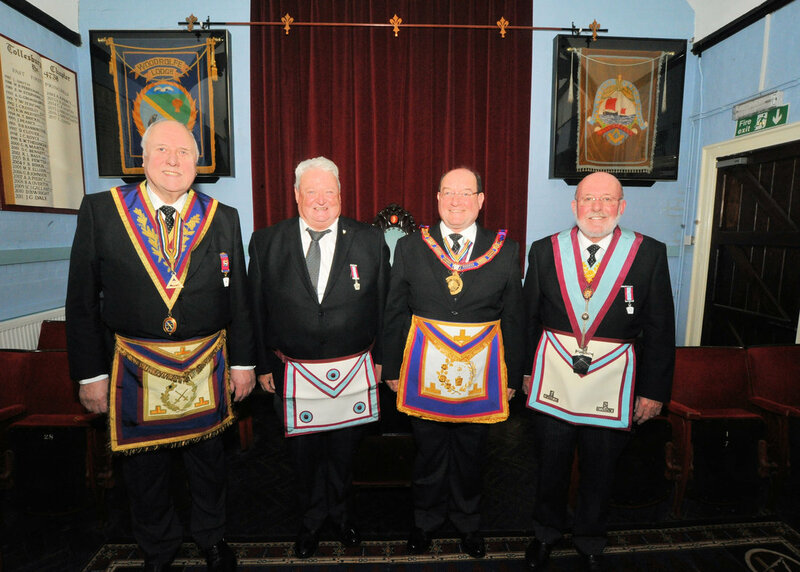 Below that are the same three with our newly Advanced Brother James Panting.